Previously on an American in Durham: I ran into some very friendly people on the Science Site who had a massive inflatable duck. 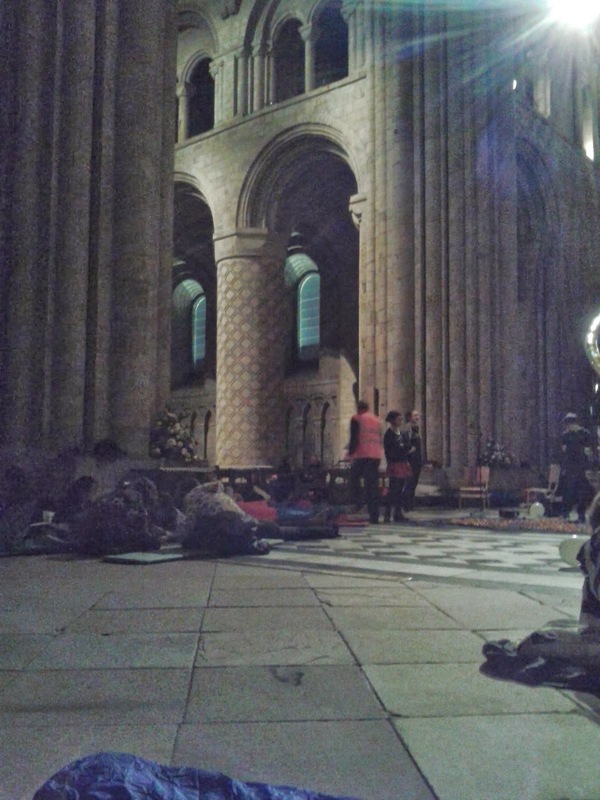 After naming said duck Caesar, I was told about an amazing event for charity called the Cathedral Sleepout. 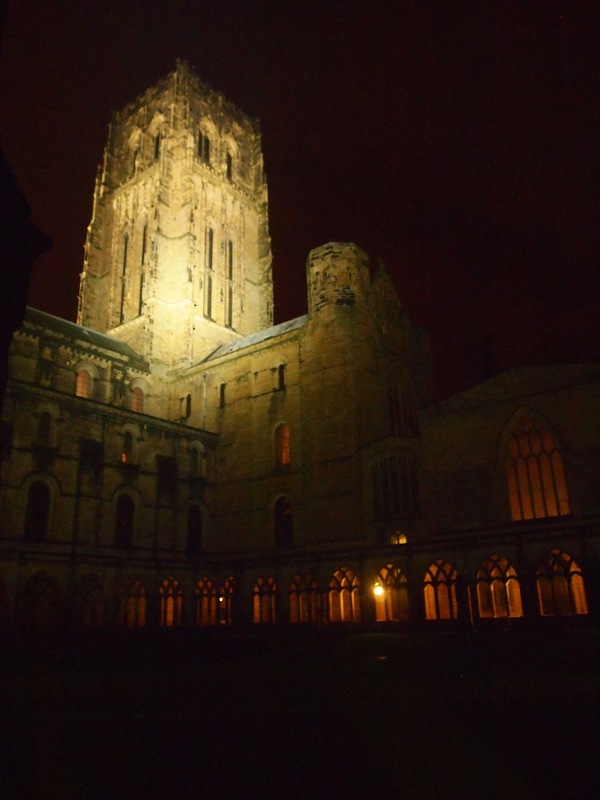 All I had to do was raise £30 and I would be able to spend the night in Durham Cathedral. 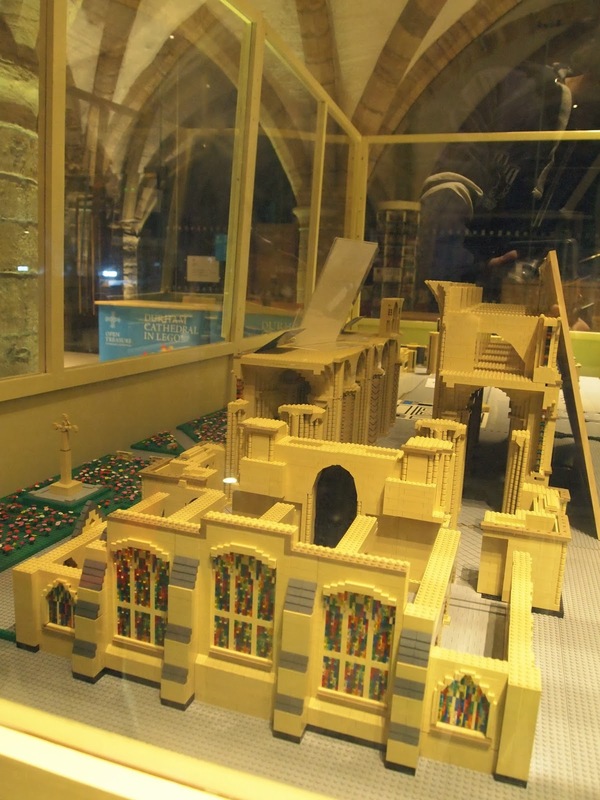 We re-join our heroine after she has raised the necessary funds (thanks to those who donated) and is preparing for her evening in an iconic English landmark building. I had no idea what to pack. I’ve been camping before and as you all know I’ve packed for stays in London hotels and I’ve even packed for a year abroad. Nothing in my packing history had yet prepared me for spending the night in a 1000 year old cathedral. This was certainly a case where I had to leave both the gun and the cannoli since food was not allowed inside the cathedral. 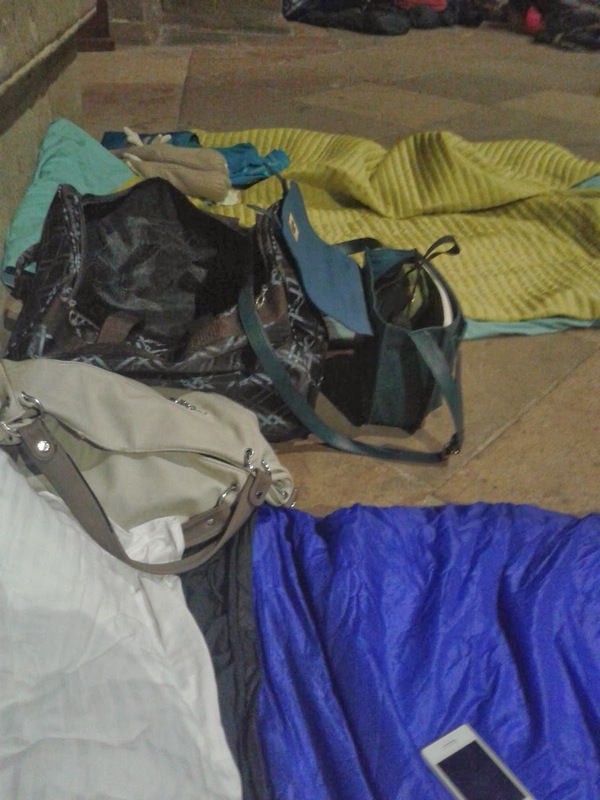 I also had the unique problem of not having a sleeping bag. 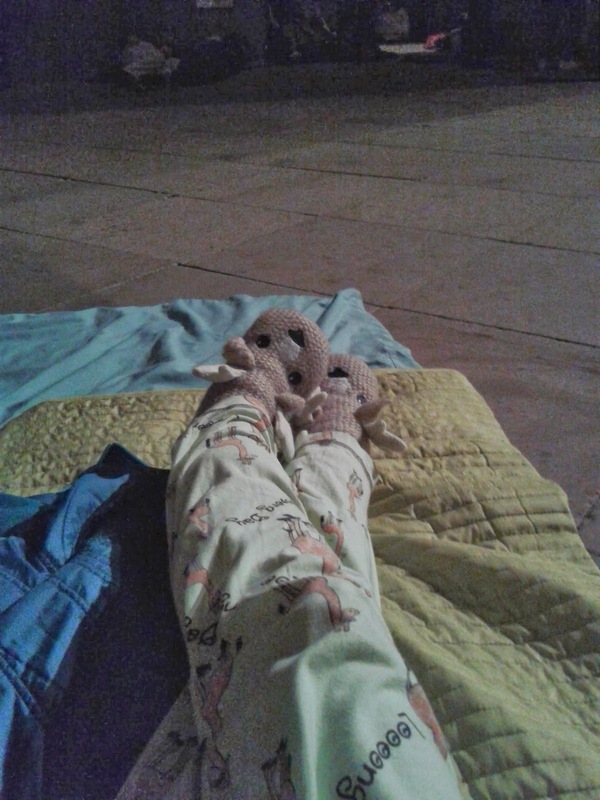 Now, as I’ve said, I’ve been camping before and I’ve slept on all manner of ground, so I was well aware that the stone floor would likely be flat, cold, and unyielding. Not totally dissimilar to the mattress provided in college but still it would be a good bet that this would be a slightly uncomfortable evening. Eventually I rolled up my duvet and jammed it into my small rolling suitcase. I was able to fit a pillow, pyjamas, and my reindeer slippers before the bag refused to take on anything else. I slipped my glasses and toothbrush in a side pocket and called it a job well done. I was grateful that I wasn’t the only one in my circle of friends going to the event. I had received a Facebook message from Jess a few weeks before asking if anyone else was thinking about going. While sleeping in a 1000 year old cathedral is pretty amazing, I could imagine that it would be a long night if I were on my own. I met Jess outside of Fisher and we began our walk to the Bailey. “So this will either be really amazing or it will be really….” I trailed off and let my worried expression finish my statement for me. We spent the walk down wondering exactly what the evening would entail. The details had been rather vague and so neither of us had any idea what to expect. We arrived at the Cathedral doors at 8:00 and went in. Our campus cards were collected, bags were checked and then it was time to stake out our claim. We headed down the nave and turned into the transept. “How about under one of the columns?” Jess suggested. I thought it a perfect idea. When else would we have the opportunity to sleep under one of those massive, columns ever again? We unpacked and made up our “beds” for the evening. As we tried them out we both realised it would be a long night and one that wouldn’t be the most comfortable on record. The stone floor was harder than I thought it would be and my flimsy duvet was no match against it. We both laughed at the knowledge we would be sore the next morning. After changing into our pyjamas, we began to people watch. All manner of onesie was present that night. From giraffes, to bears, to cats, to Sully from Monsters, Inc. and Stitch from Lilo and Stitch. Finally the evening began with a speech from one of the organisers of Moving On, one of the charities that was benefiting from fundraising. She spoke of the problem of youth homelessness and showed a brief video about their organisation. Two programme users spoke and told their stories of being out on the streets and then finding help through Moving On. Afterwards a drum choir performed a few numbers. They were quite good and I enjoyed hearing some African pieces for a change especially in that space. Their last number echoed through the stone cavern and then died out into applause. 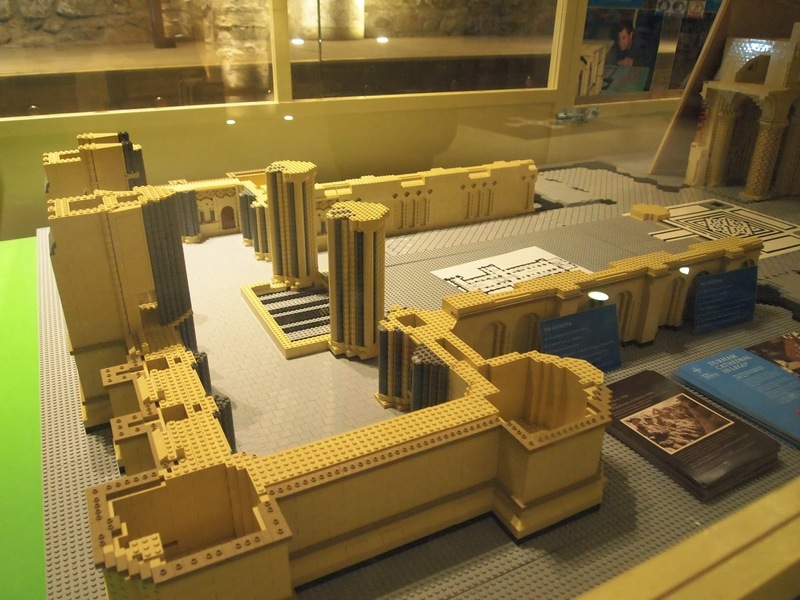 They are building a Lego replica of the Cathedral in the Cathedral! I’m pretty sure this qualifies as early trans-dimensional engineering. When we got back to our spot under the column I began to settle in. It was almost 11:00 pm and exhaustion was beginning to set in. Jess and I both decided to try to get some shut eye. Unfortunately we hadn’t accounted for there being an open mic night as part of the “entertainment.” Terribly flat singing reverberated around the room as though the walls themselves were trying to reject the sounds that were bombarding them. I pulled my blanket over my head and tried to go to my happy place. Eventually though, the singing stopped and the lights went out. 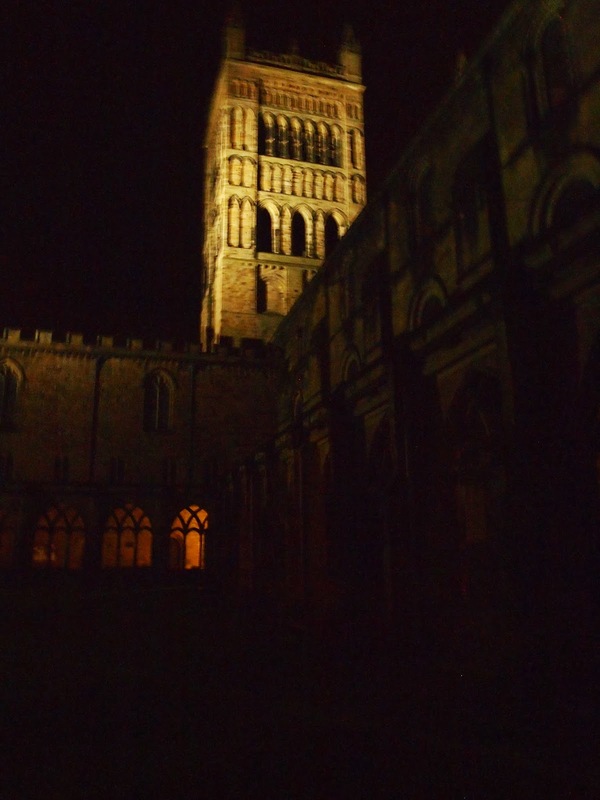 The cathedral in the dark is a truly wondrous thing. The only light was that that filtered through the round arched windows. It was possible to just make out the outlines of the columns and pews, but all else was shadow and darkness. This was the best part of the evening. 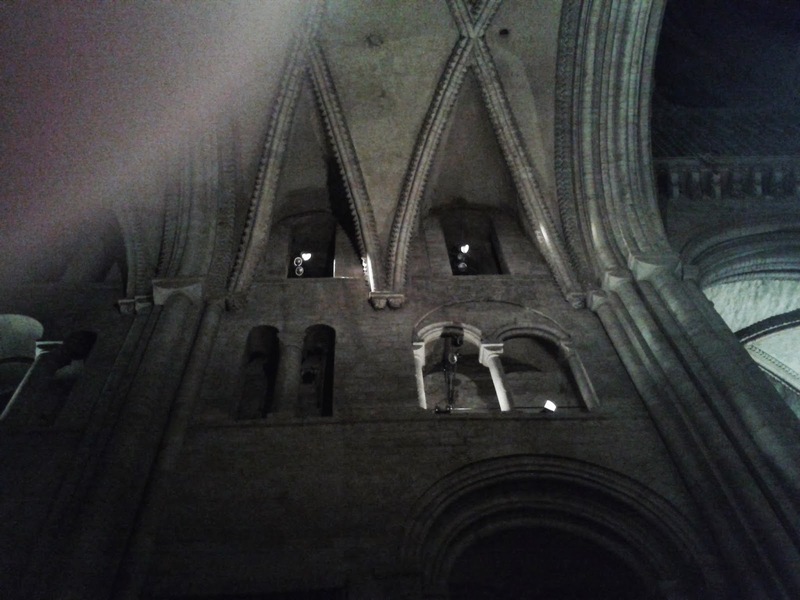 The noises began to die down and the Cathedral was dark and silent. I finally drifted off to sleep. I’m not sure whether it was the environment or exhaustion but I had a strange dream that night. 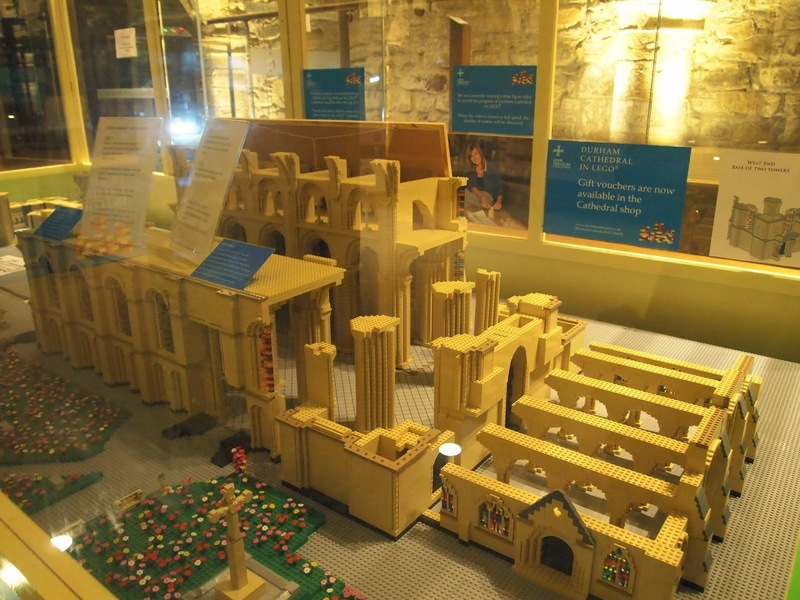 I was wondering through the cathedral and cloisters looking for one of my ferrets that had died years ago. I was shouting his name frantically. “Abbott, Abbott!” worried I would never find him. Then I spotted his skinny, white silhouette under some ironwork against the wall. I picked him up and hugged him, not wanted to ever put him down again. Then I realised he wasn’t alone. I saw Ziva and Toby, two more of my ferrets who had passed away both unexpectedly. I picked them all up and was carrying them around the Cathedral totally unaware of how strange it was that they should all be alive again. The lights came on and slowly everyone began to wake. Event organisers came around and made sure any stragglers were well and truly awake. Jess and I looked at each other. She gave me a look, “I woke up almost every hour.” I smiled sympathetically. Though it hadn’t been the most restful sleep, I had managed to sleep through the night. We packed up our things, collected our campus cards, and started the long, cold walk back up to Howlands. It had been an odd evening, but one I would not soon forget. I had never even considered putting sleeping in a 1000 year old cathedral on my bucket list. But like many of my to do lists, I was happy to add it on right before I checked it off.